Carl Anderson, stops by to chat with Dini Mussolini about the passion, stories & live stage experiences behind the music that he makes. 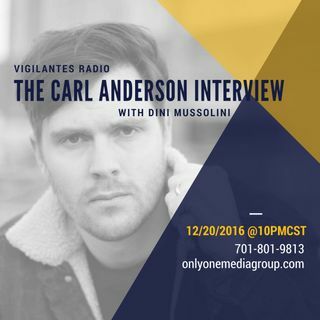 Set your reminders, it's happening @10PMCST | call in at 701-801-9813 or via the browser at www.onlyonemediagroup.com/vigilantesradio. Visit Carl Anderson at www.thecarlanderson.com.